Attached is a pic from last weekend with Henry in Michigan... Thanks for the pic Henry!! Thank you for sharing Adam, awesome photo -- so glad you got to meet him! 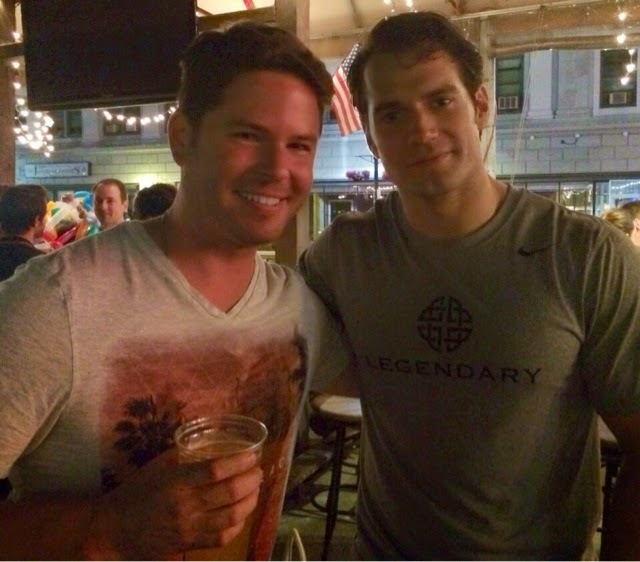 - Several fans caught up with Henry over the weekend, see their pics. Awesome! A new photo in midweek. It's a happy Hump Day. Thanks you so much for sharing Adam. Awesome Adam, thanks for sharing. You're so lucky to have met him in person! I'm sooo jealous! Thanks HCN for the update. Lucky Adam! I've got zero chances of running to Henry in Seattle. Seriously contemplating a 3-day weekend in Detroit. Let's see...according to Time Magazine, I can visit the Institute of Arts, the beautiful but abandoned Central Station, Belle Isle, get a tour a the Ford Factory, checkout the Farmer's Market, the Motown Museum, the Palmer Woods and Sherwood Forest, and see the beautiful Art Deco Fisher building. No, but really, I know running into Henry would be like throwing a dart with blinders on.